Heros severus known as the Banded cichlid or severum fish hales from South America where its distribution spans the Orinoco River basin of Colombia and Venezuela to the Amazon River basin. 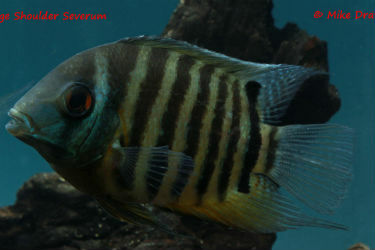 H. severus which currently is made up of four species, namely H. severus, H. efasciatus, H. notatus and H. spurius. 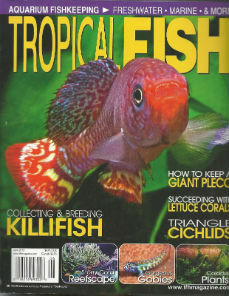 By far the Banded cichlid is most readily available in the hobby including its various color forms. 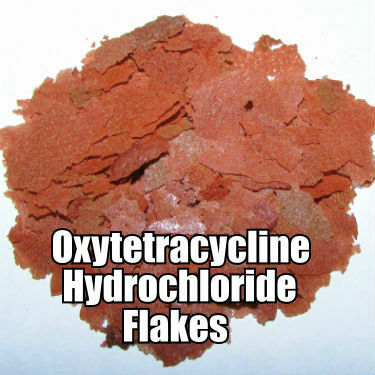 Overall the most recognizable color seen is the wild-green type as well as gold. The genus Heros is distinguished by its unique shape and size and in particular their lips which are bulbous in appearance. 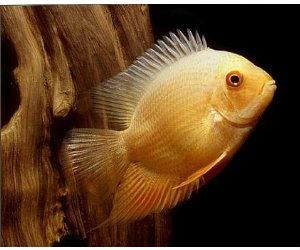 Another characteristic is their demeanor which is sedentary and very similar to Discus fish expect when breeding. 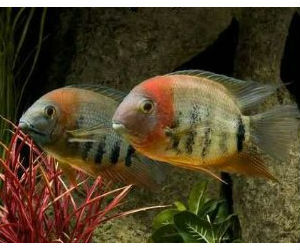 These cichlids are compressed with a pancake type shape or commonly referred to as unilaterally compressed. 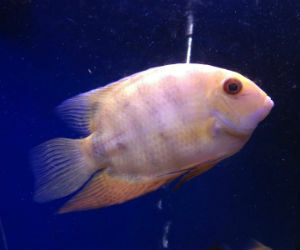 As mild-tempered cichlid, H. severus should be given ample aquarium space because they can reach upwards of eight inches in length. Interestingly these fish are what called mouth brooding cichlids which means after spawning has occurred the female will hold the fry in her mouth for a period time similar to Geophagines and African cichlids like Frontosa. In terms of diet they are omnivorous but benefit and enjoy vegetable matter in their die. Store prepared herbivore pellets or spirulina pellets are welcomed as are lettuce and peas! And they will eat live plants expect something hardy like java fern. Orange Shoulder Severum - FREE S&H!